Take it from these busy mumpreneurs! School and sports clothes go into the washing machine at night. In the morning wake up 15 minutes early and pop them in the dryer and then onto the line ready for the next day. 7 minutes in dryer is enough time to steam the wrinkles out of clothes. Just make sure you remove promptly and put on clothesline immediately. Voila! No ironing, not even school shirts. It’s my parental glue-stick that ties together all the loose ends of my day. If you’re notebook is too big to carry with you, take a photo of your to do list with your phone and you will always have it with you. I know, I know, easier said than done - but here is my life hack for you. Set all of your clocks in your home and in your car back by 5 to 10 minutes . Even though you know you’ve done this it still works. Try it...you’ll thank me. Turn off your alerts on your mobile phone and computer. Go to Settings and turn off the sounds and banner alerts. You will still get all your messages but only when you want to check them. This more than anything else on this list will free up time for you. Every time your phone or computer buzzes you lose a few minutes, and it can quickly add up to an hour or hours! Tidiness: I decided that primary school (Year 3) was the perfect time for my kids to start making their own beds and tidying their rooms before school. Last year I embarked upon a program where each child had to cook one meal a week (with my supervision of course). Cook twice as much, half as often! Double batch family meals, specially wintery ones that freeze well. It’s a saviour when things are going pear shaped. Some of your kids’ artwork really is wonderful. Frame it. But most… well… you can’t keep everything. I have an A3 box for each child to put the special things in, class photos, paint foot prints etc. For the other artworks or huge ones, I take a photo with my phone and add it to the digital photo album for that year. I become a space cadet as soon as I take my kid into the doctor. They rattle off a whole lot of instructions and my brain turns to mushy peas. So, with the doctor’s permission, I tape her advice and I also write the instructions on my phone. When family members quiz me at home, I can listen again. File everything in categories in Evernote. By child, by dream destination, by anything – everything goes into a file – pictures, notes, files etc. Let’s be honest, no to do list is perfect (ie it doesn’t pick up the dry cleaning for you) but it’s a start to stop the sleep preventing panic attack at 4am. There are super techy ones that remind you when you’re near the place it relates to (Remember the Milk) but I find the simpler the better. Fave of the moment is Wunderlist. I love that it gives a back patting little chime of congratulations as you tick something off the list. Confession time: I have been known to add things that weren’t on the list that I’ve done just so I can cross them off. Anyone else do this? I take photos with my phone of everything. It’s my brain’s external memory. Recipes in waiting rooms, forms signed and emailed back. You name it. Tiny scanner makes scan grade versions of forms and Docusign lets you fill out forms and add your signature. Cool huh! 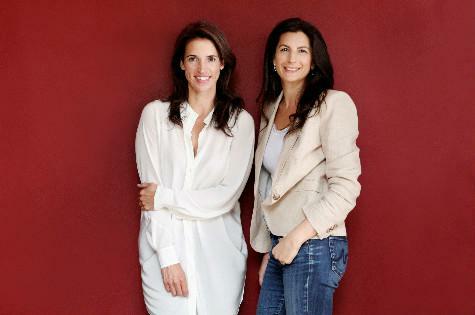 Julie Tylman (mum to three) and Ali Linz (mum to four) are the co-founders of GroupTogether, a company that revolutionised the gifting industry in Australia. The user-friendly platform does the inviting, reminding, collecting, tracking and then sends the money and group card to the organiser, making it easy to pool funds to give one gift that’s really wanted without the waste.